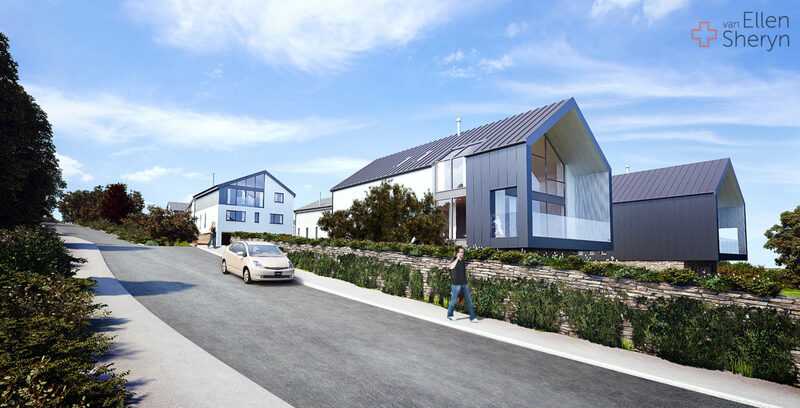 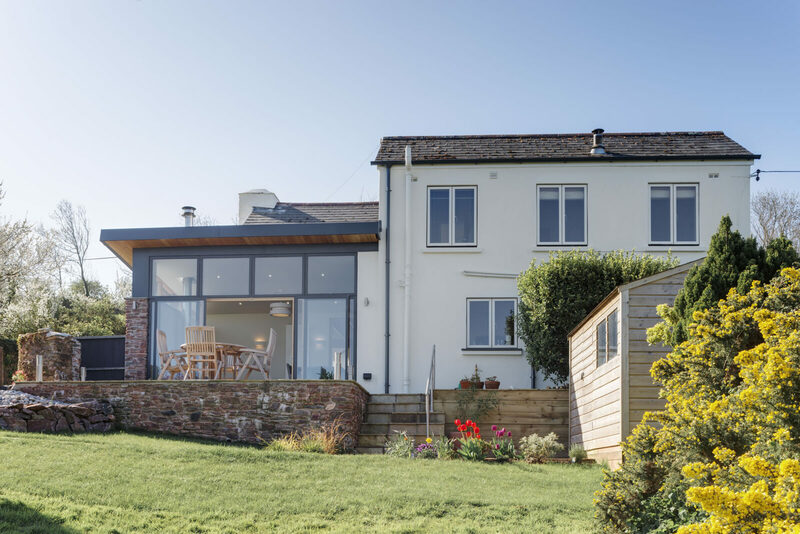 Our clients needed an architect in Kingsbridge, South Devon to provide them with a Full Architectural Service for their New Extension. 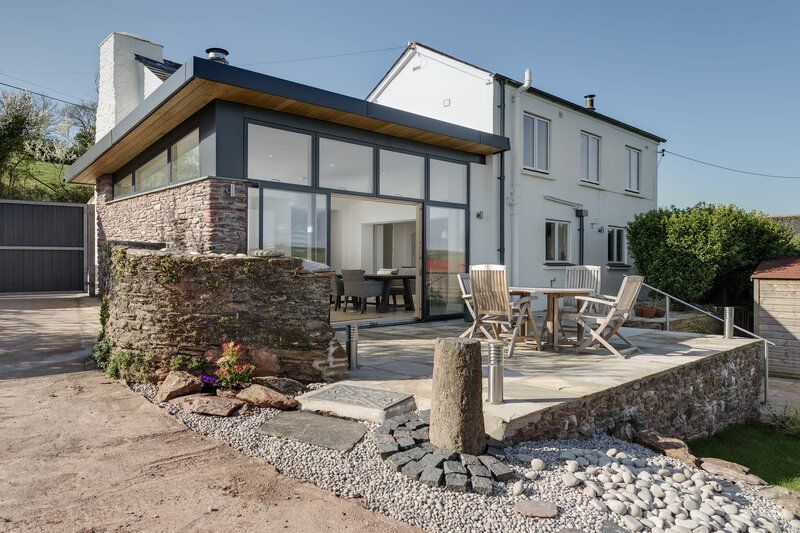 The owners of this seaside property wished to refurbish the 4 bed property whilst replacing a stone lean-to shed with a new glassy extension. 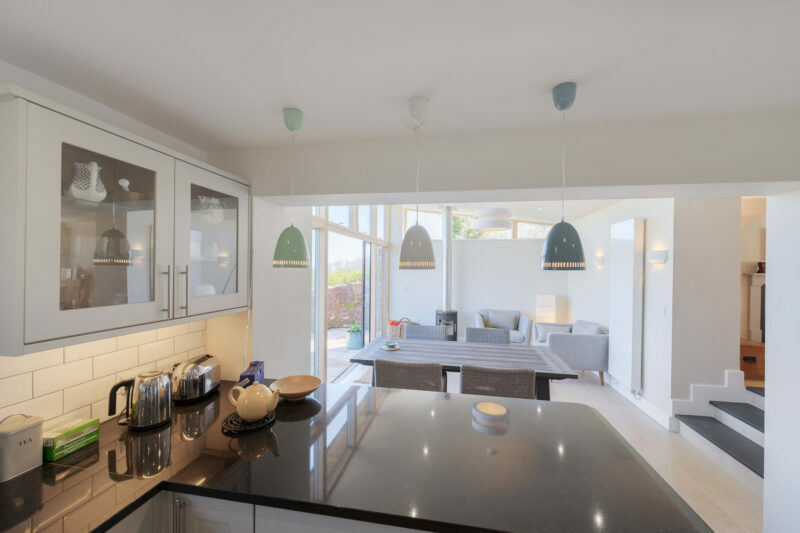 The brief was to provide a light, spacious dining and family area adjacent to the kitchen, which enjoyed views of the garden and coast beyond. 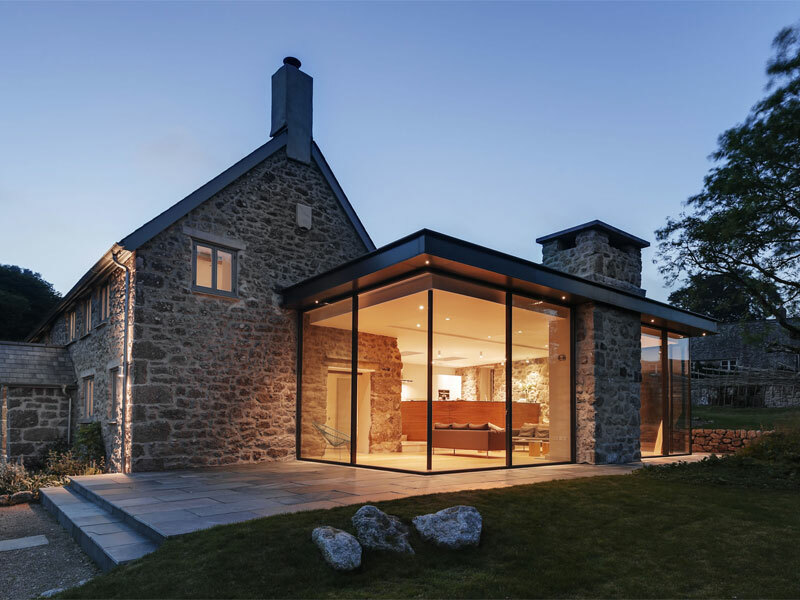 The extension combines glass and a mono-pitch roof in a contemporary manner whilst remaining sympathetic to the main house by using locally sourced stone on the flank wall. 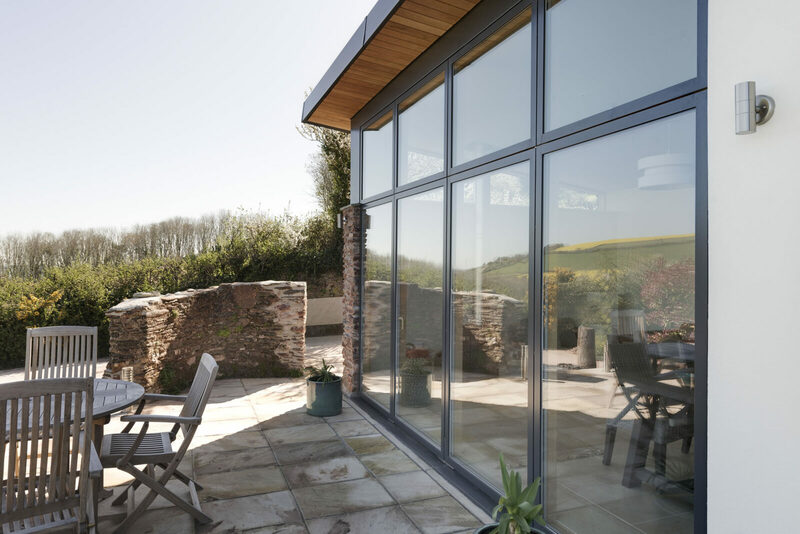 The inverted roof allows a large glazed elevation with sliding doors to connect to the garden terrace and allow light to pour into the space. 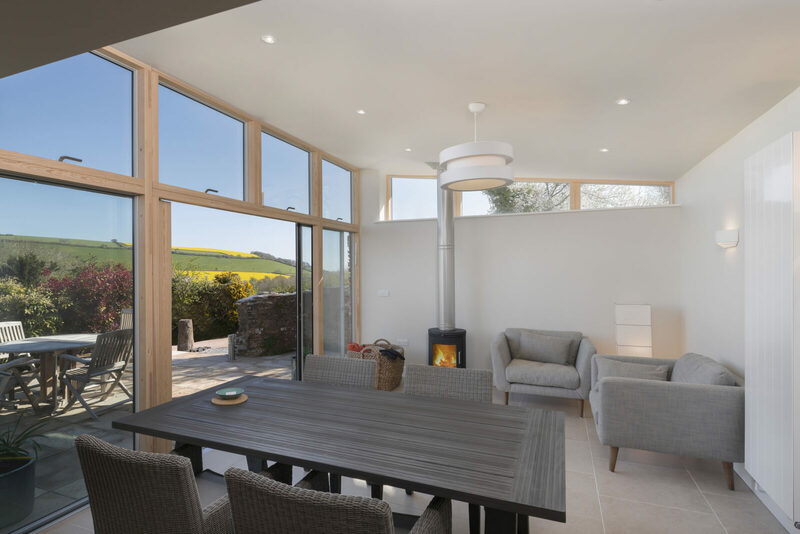 The light tones of the interior decor, combined with the contemporary wood burner and pine finish to the glazing system give a subtle Scandinavian look. 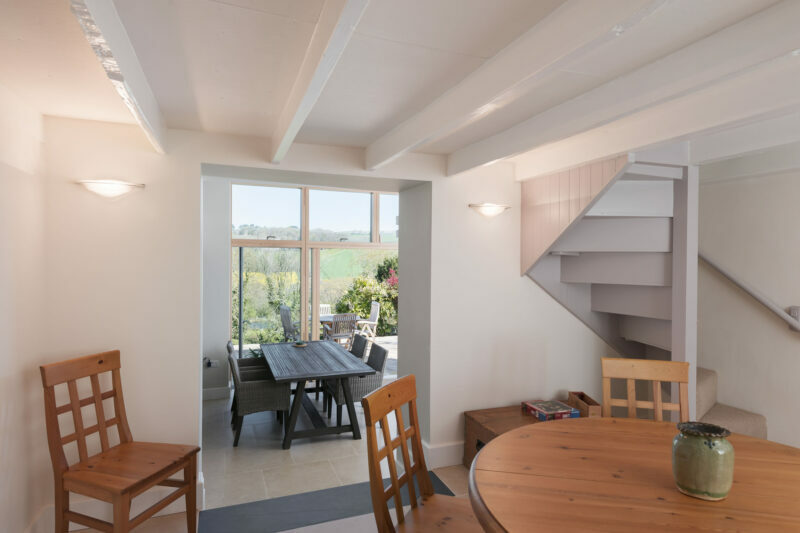 We engaged Van Ellen and Sheryn on recommendation from a local developer who had previously worked with the firm to extend and upgrade our South Hams cottage. 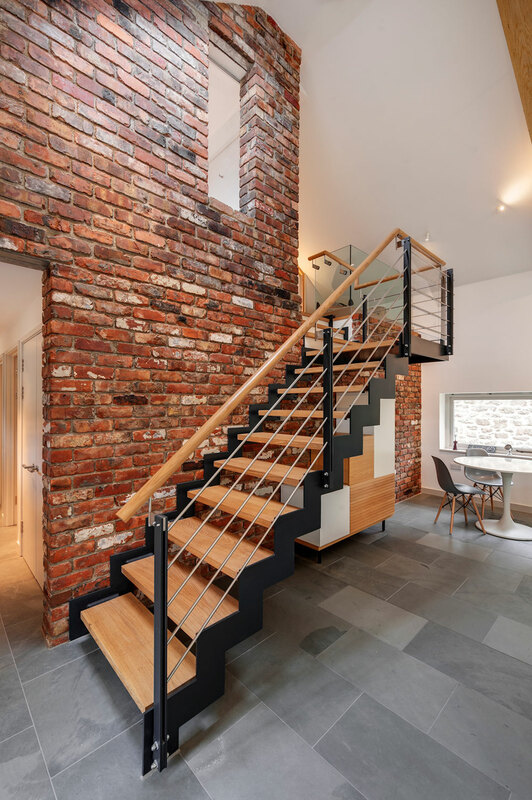 The original part of the building was up to two hundred years old but with some later less distinguished additions. 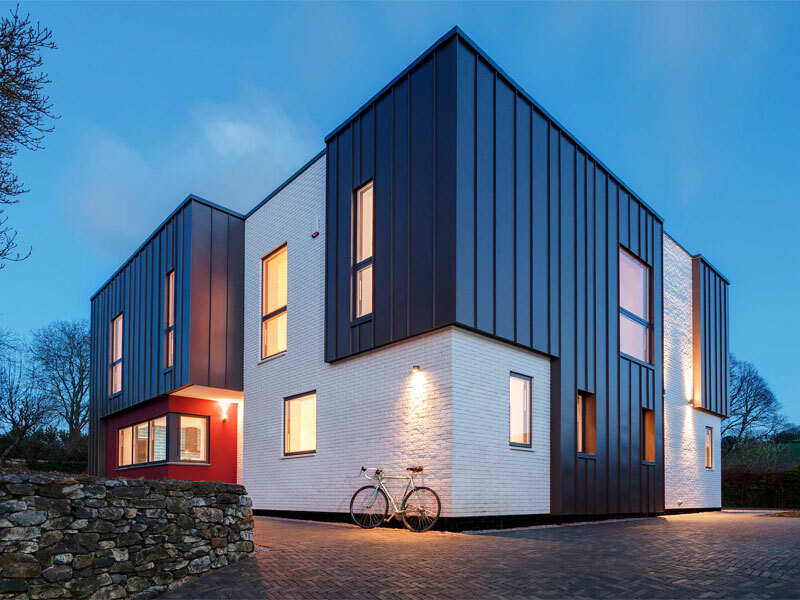 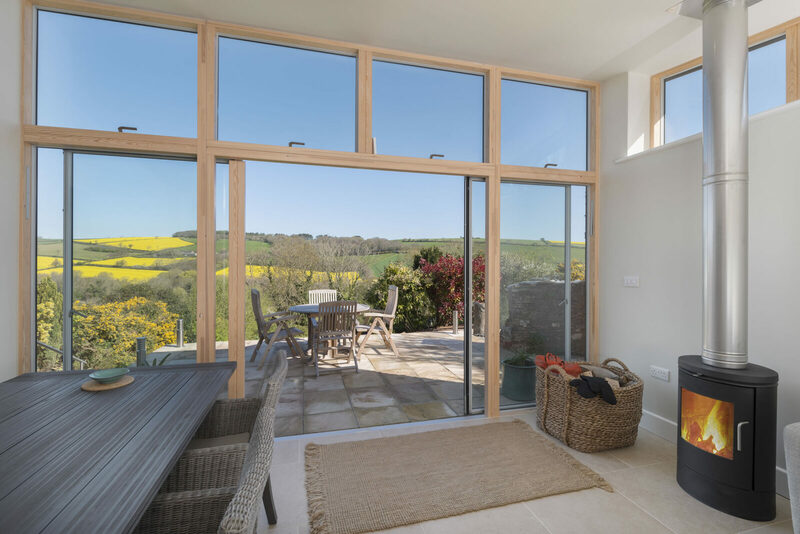 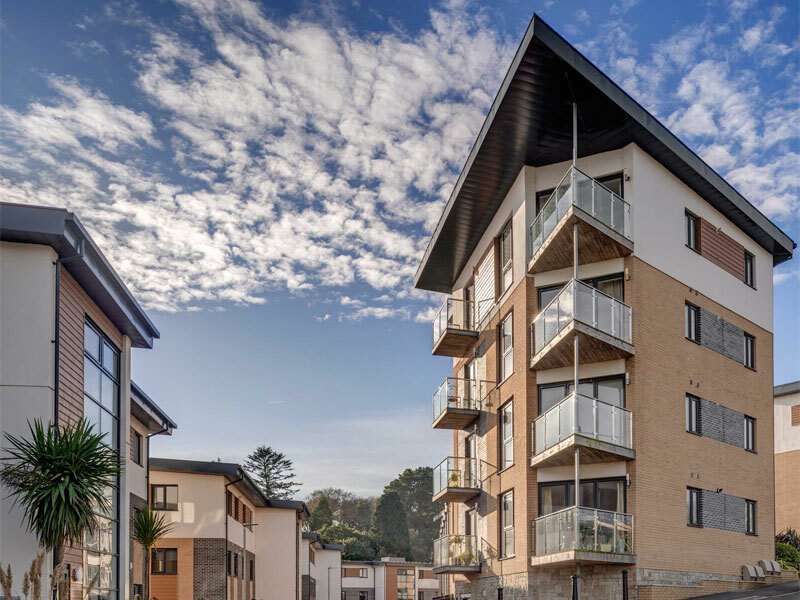 The project required the creation of a completely new contemporary style living space to gain the benefit of the wonderful views from the house, as well as new windows throughout, and some additional redesign work to rationalise the interior layout. 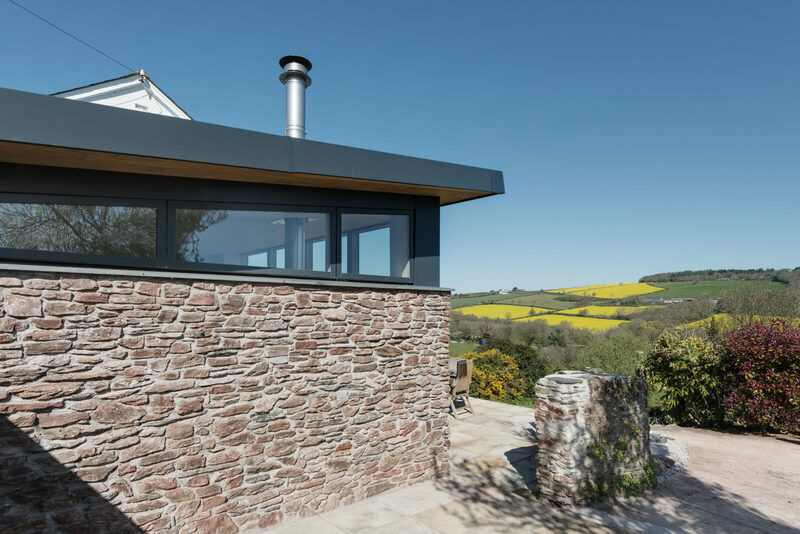 On a day to day basis we worked mainly with Ian Phillips who was utterly patient in developing and working through several initial schemes that would suit our needs and wishes. 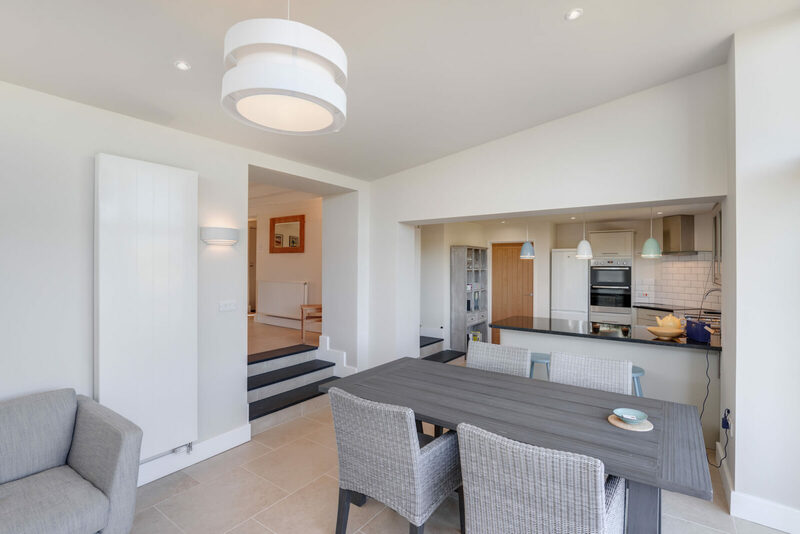 Ian's attention to good design and detail was excellent and we now have exactly what we wanted and expected from a design perspective. 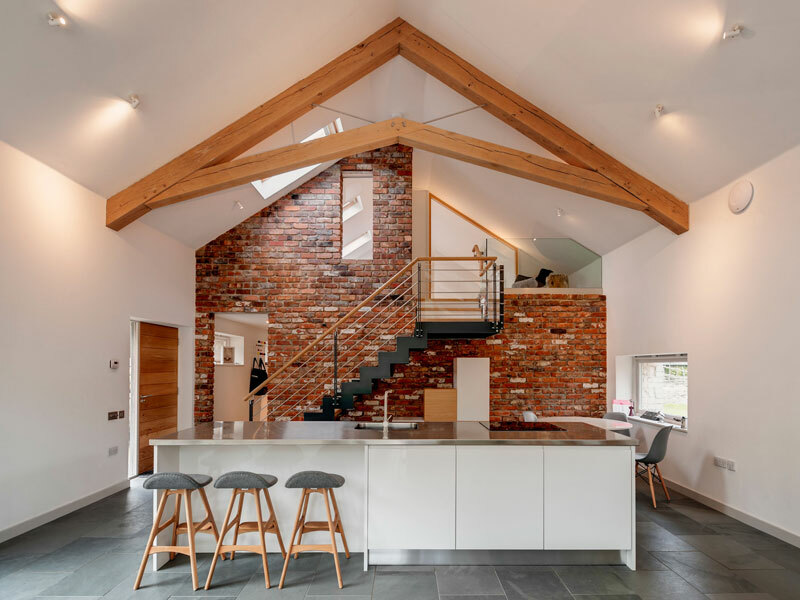 Ian was always calm and easy to deal with. 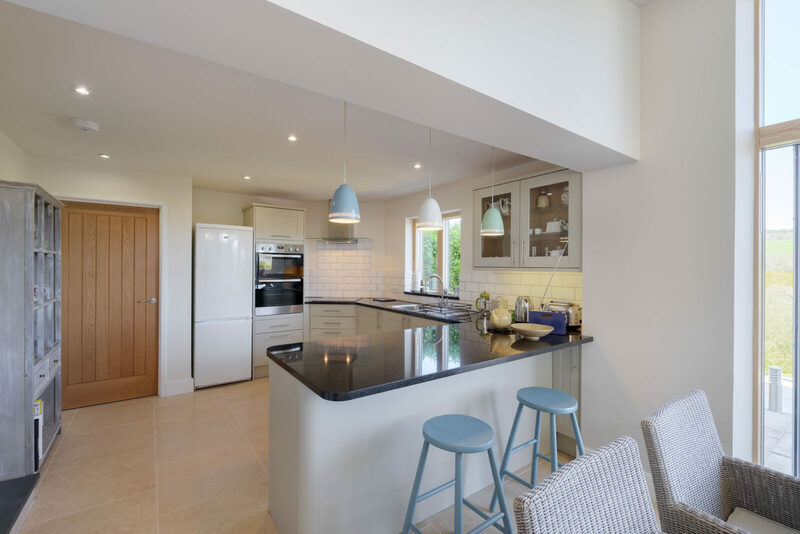 He did a thorough job in overseeing progress through the project and managing expectations on both sides, ours and the builders'. 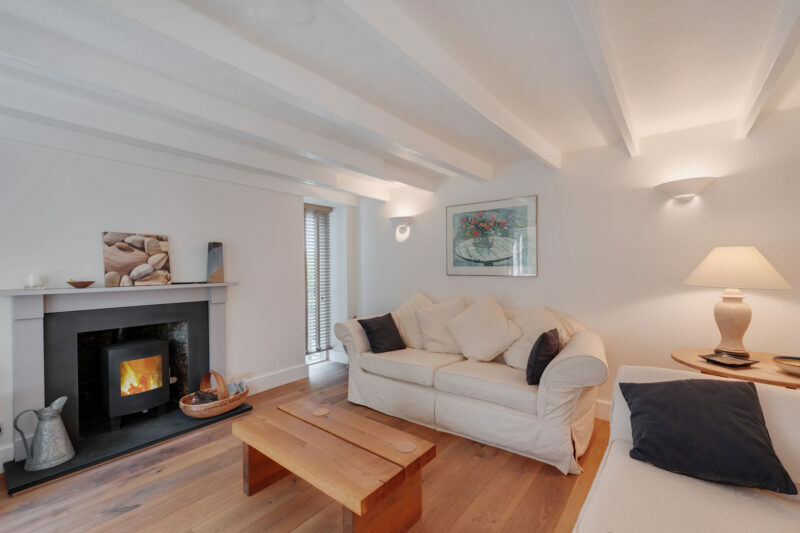 For their skill and professionalism we would not hesitate to use Van Ellen and Sheryn again, and we are very happy to recommend them to other potential clients.